The clutch is simply a connection between the engine and the transmission that can be connected and disconnected by a pedal. It enables you to connect and control the power of the engine to your gearbox, enabling your vehicle to move. It consists of a disc mounted to the rear of the engine and a disc mounted to the front of the transmission. A vehicle clutch normally proves reliable for thousands of miles; however, daily driving in town traffic will normally wear out a clutch a lot quicker than motorway driving. 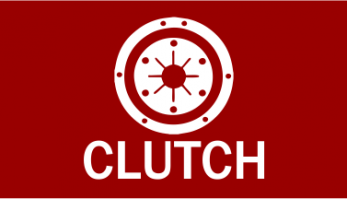 Each time the clutch is engaged, the clutch disc and other vital components are subjected to considerable heat, friction and wear which increases the chance that a clutch will need to be repaired or replaced. Common faults that may arise include clutch dragging and slipping which, if left, may lead to more extensive problems with the vehicle. It is essential that the clutch on your vehicle is working correctly and that any wear is monitored, failing to do so may result in problems with your engine and gearbox. SRSC have trained vehicle specialists who can identify any potential problems with the vehicle clutch and undertake necessary repairs or, if required, clutch replacement. You can use this link to book your vehicle in for a clutch inspection or alternatively call us on: 01773 260110 and one of our team will book your vehicle in.